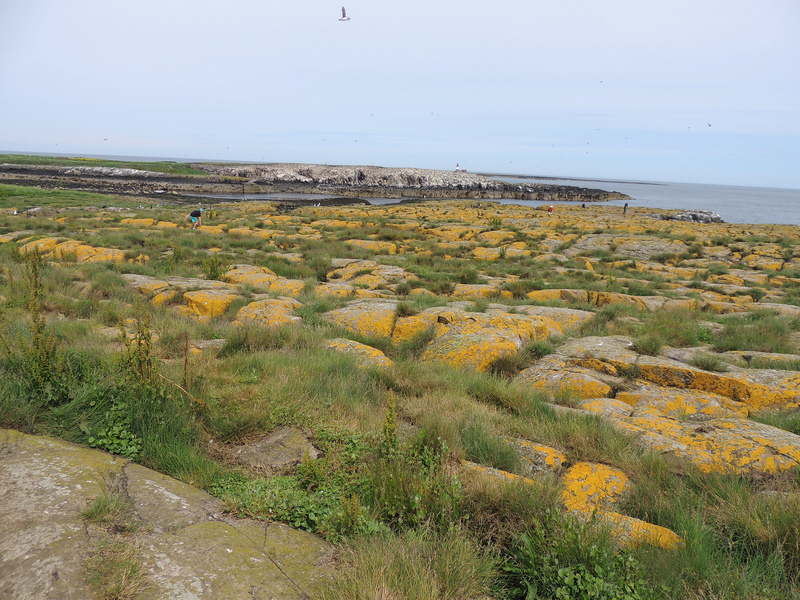 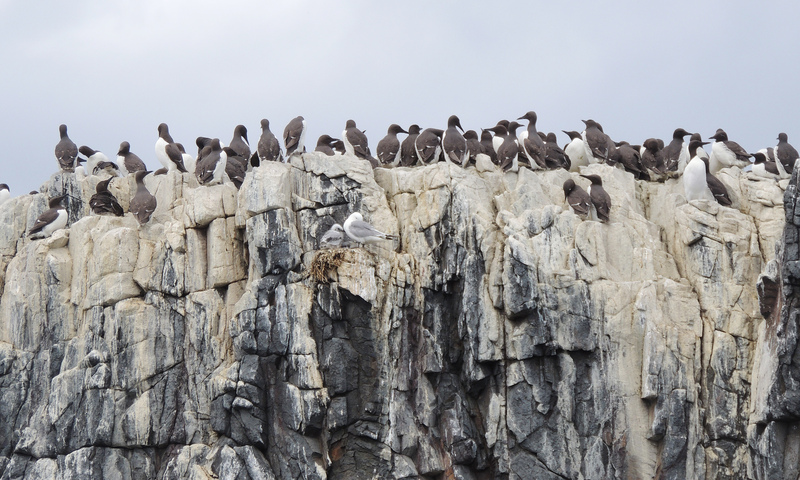 My second trip to the Farne Islands was to spend a short time on Staple Island to see the seabird colonies nesting on the cliffs. 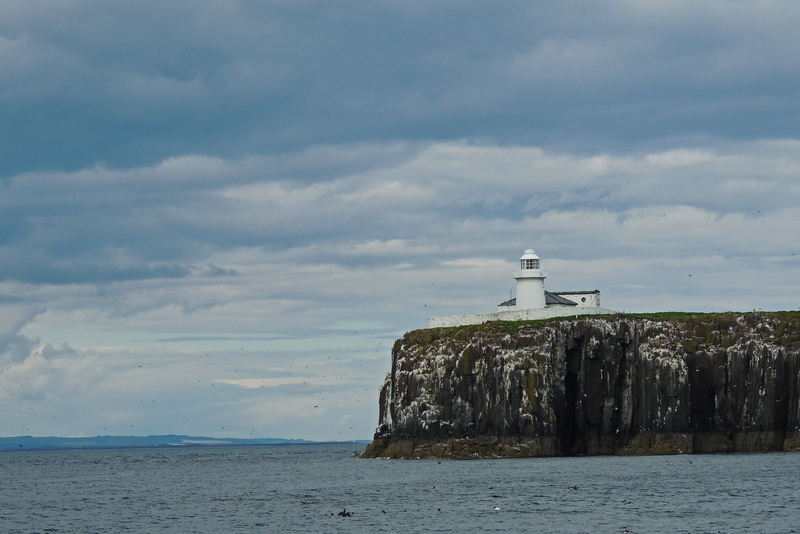 I had never visited this island on previous trips, so this was a new experience. 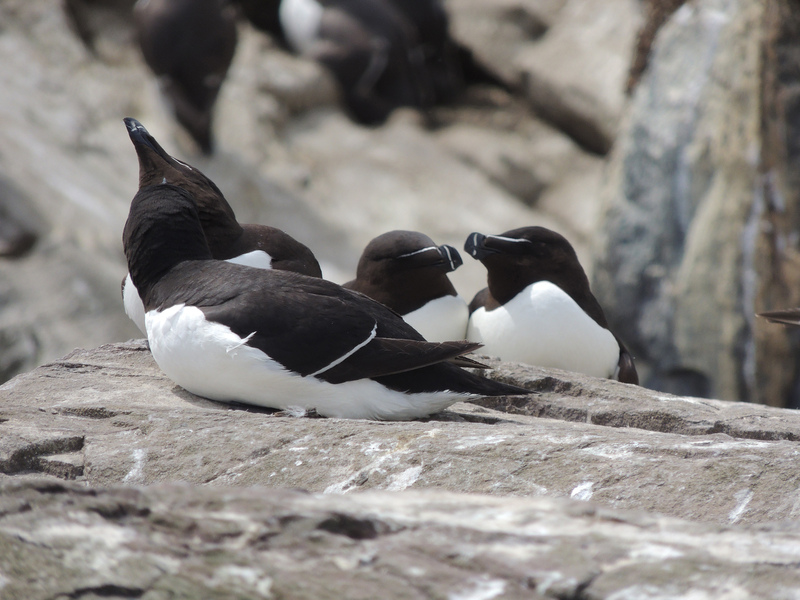 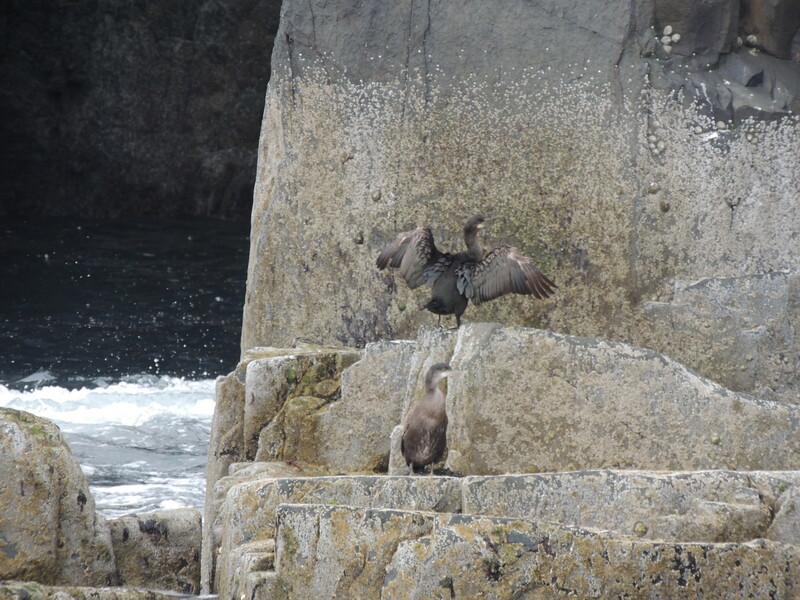 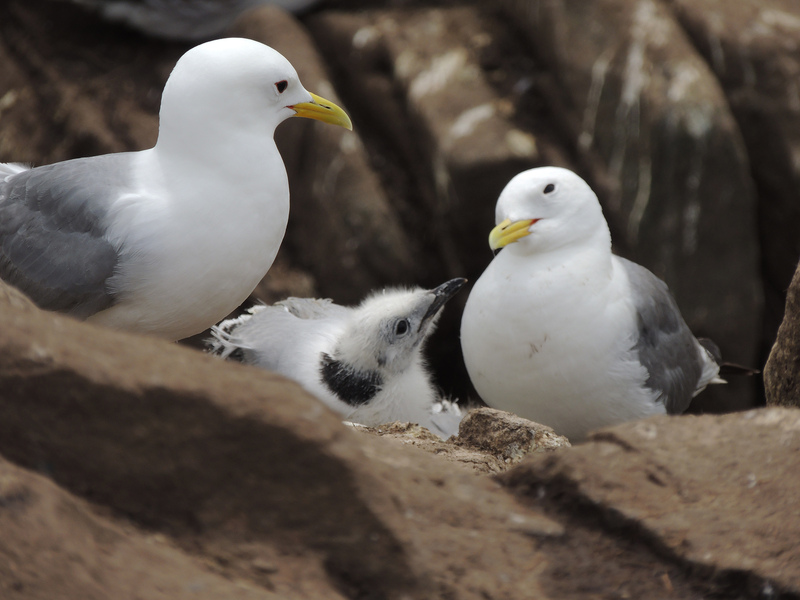 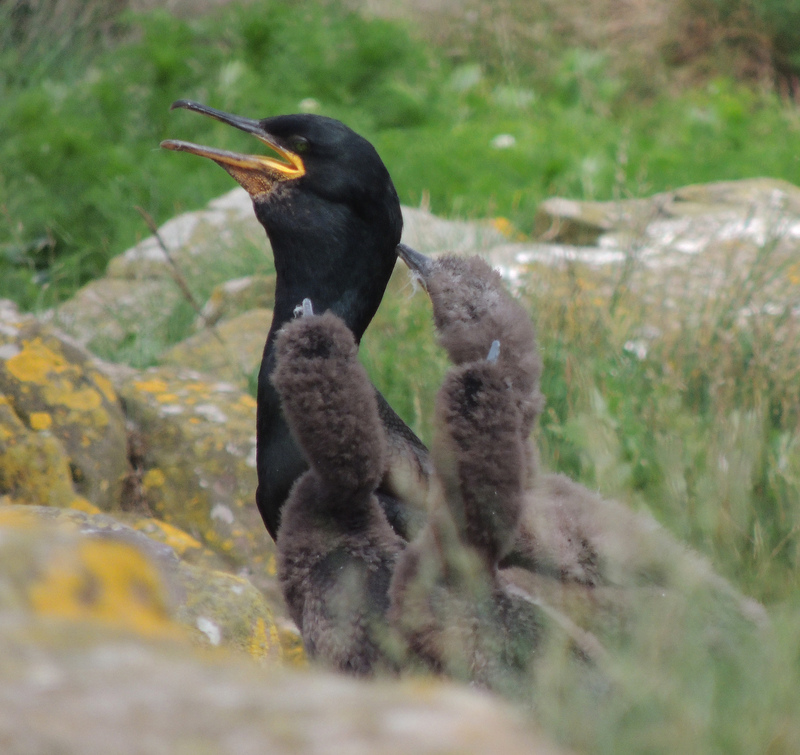 The most numerous were Guillemots but also nesting were Shags, Razorbills, Kittiwakes and Fulmer. 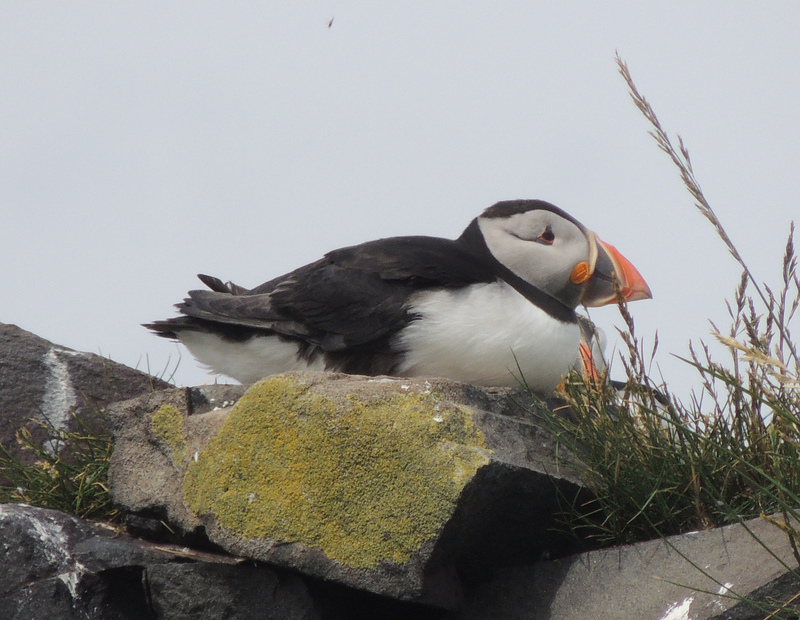 But undoubtedly the highlight of the trip was the opportunity to photograph Puffins at close range as they popped in and out of their nesting holes. 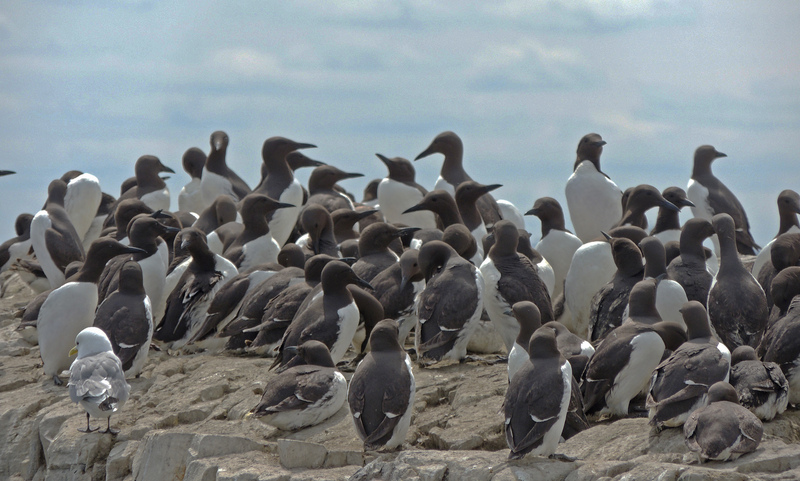 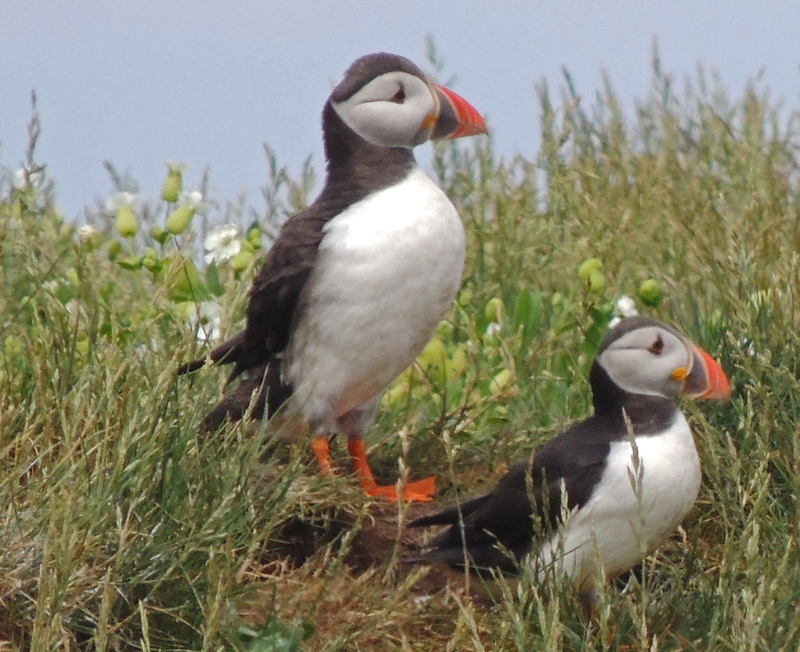 Wonderful experience as I have only ever seen one or two birds at a time even when visiting Inner Farne. 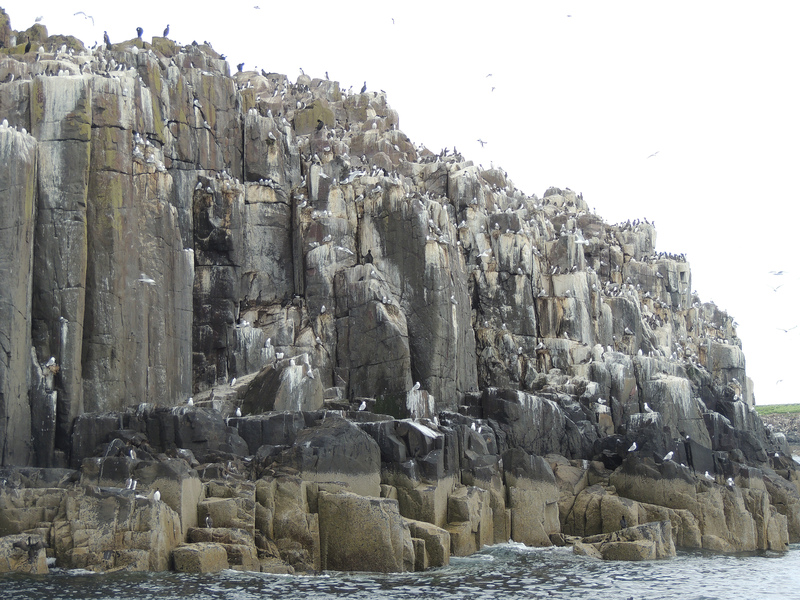 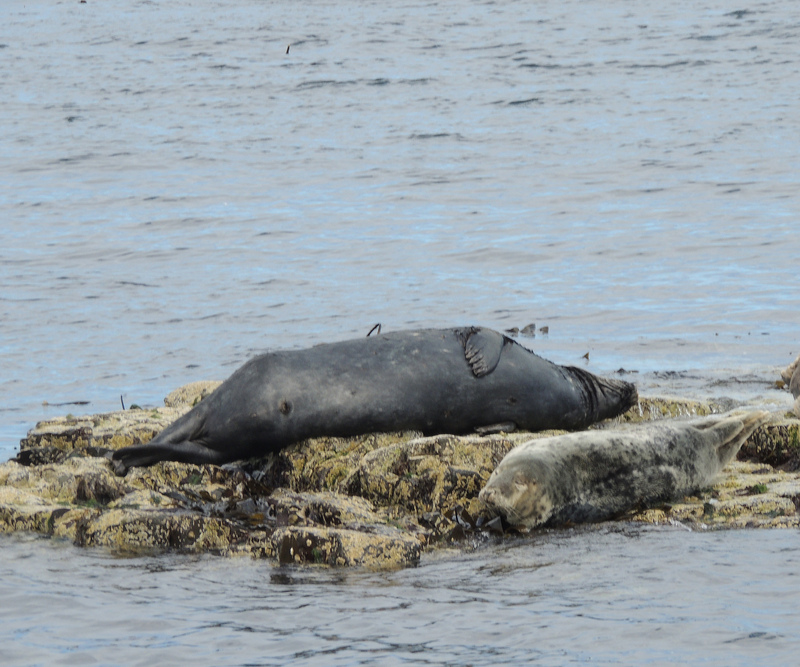 The Farne islands lie off of the Northumbrian coast. 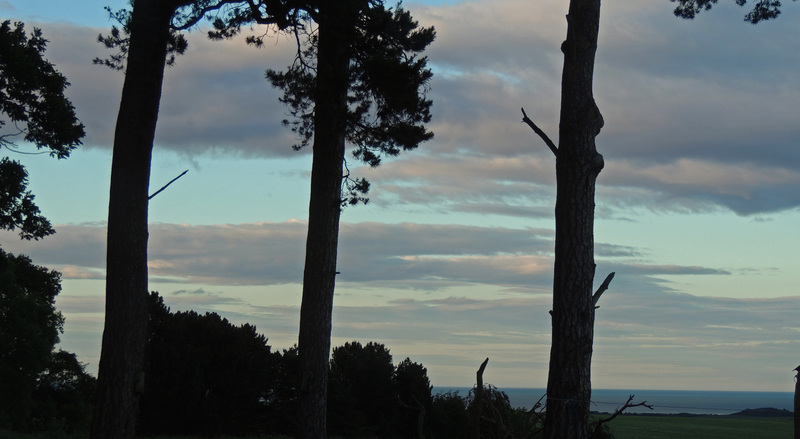 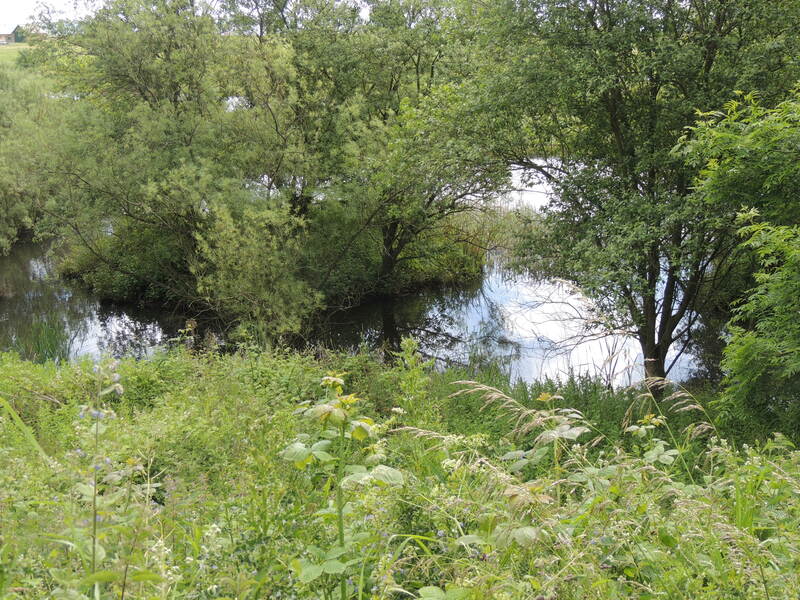 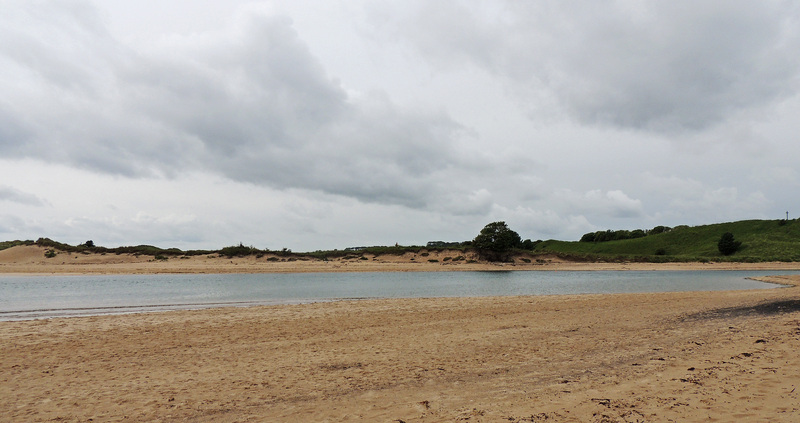 Once the home to monks and hermits, it is now a nature reserve and managed by National Trust. 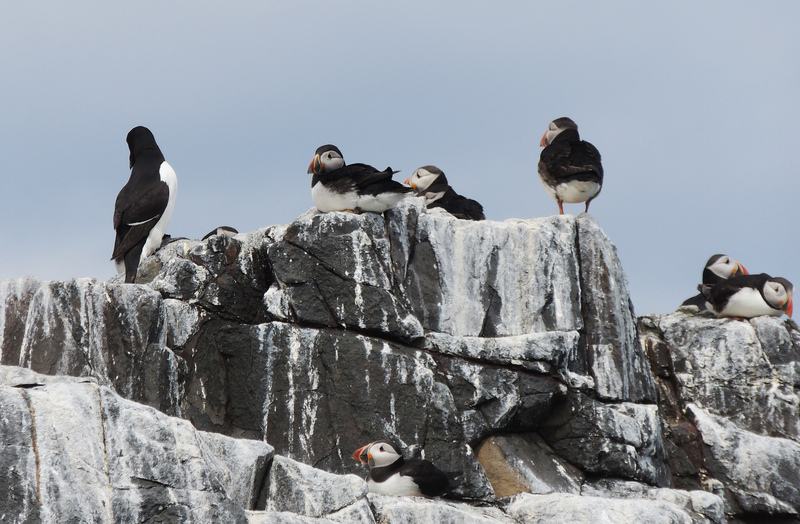 Sue and I took a boat trip around the islands and got great views of the seabirds nesting on the cliffs and the Seals basking on the rocks. 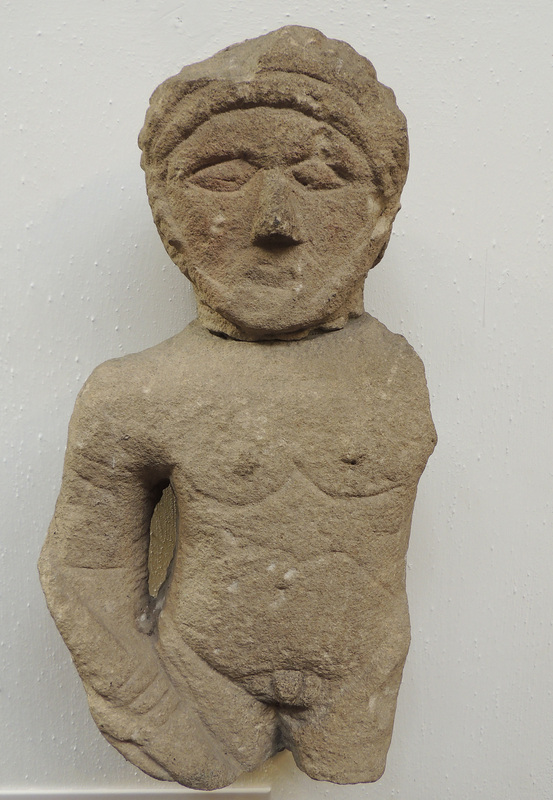 The collection of altars found at Corbridge speaks to the diversity of the people who lived there and of their religion. 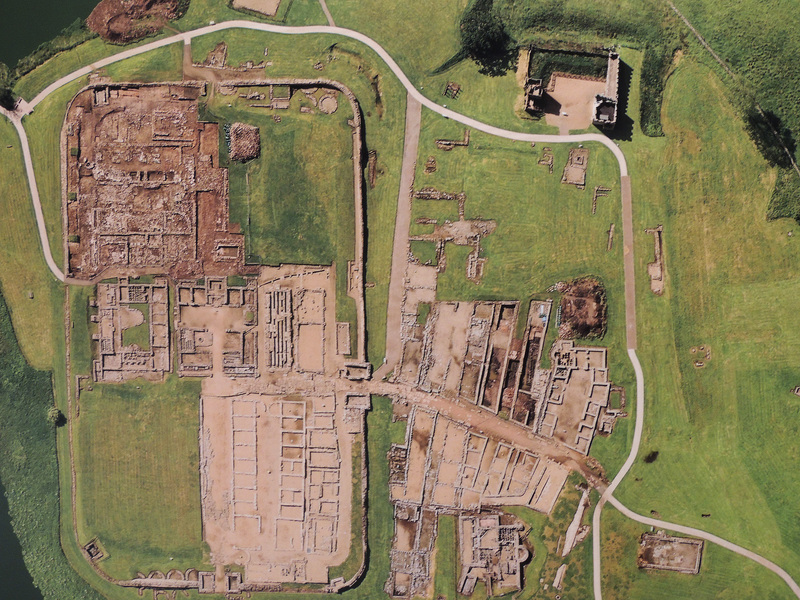 It is unclear when it started to develop but by 200 AD a substantial civilian settlement had developed around the legionary base. 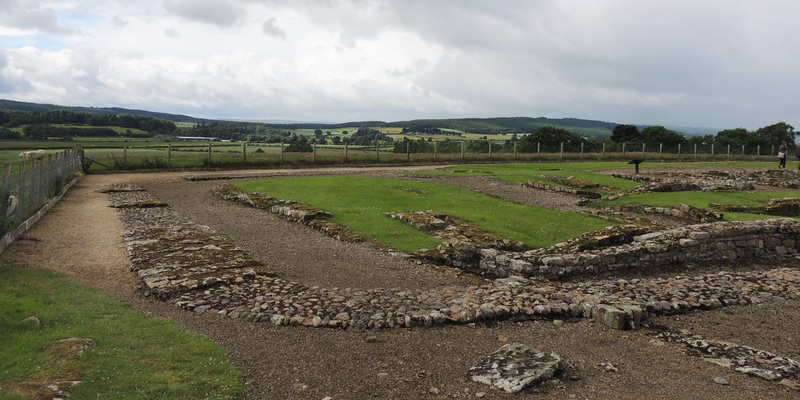 By the fourth century the military function of Corbridge had declined and many forts and bases were abandoned, but places such as Carlisle and Corbridge continued as civilian settlements. 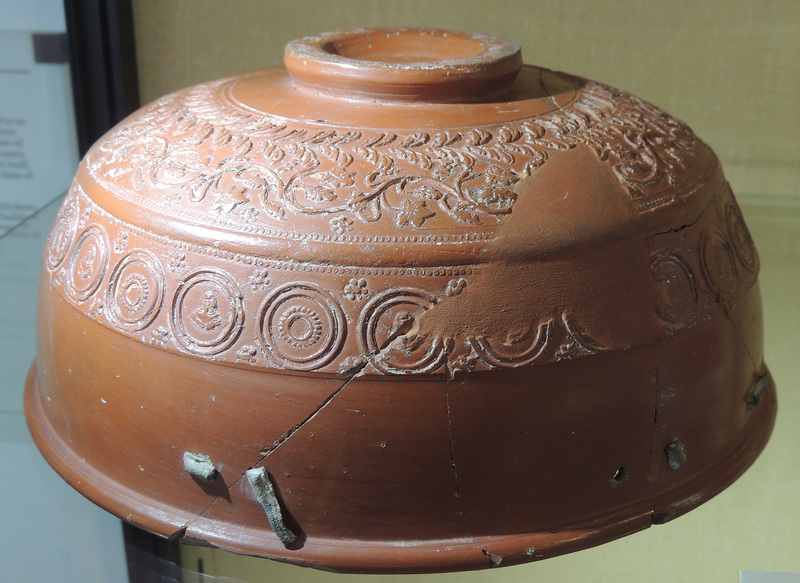 After the Romans left at the beginning of the fifth century the use of urban settlements began to decline as in the cultural vacuum that followed people returned to an agricultural rural based economy. 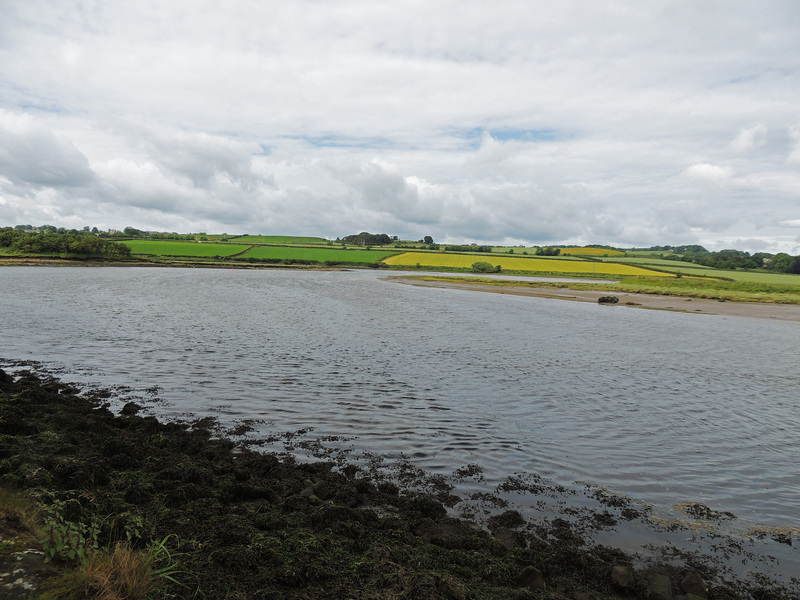 The later Saxon and subsequent medieval settlement was founded a mile east of the Roman town. 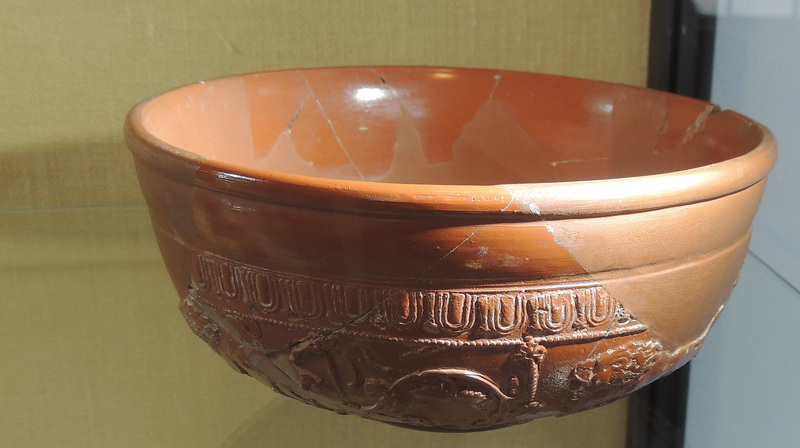 There are records which show that the Roman site was known. 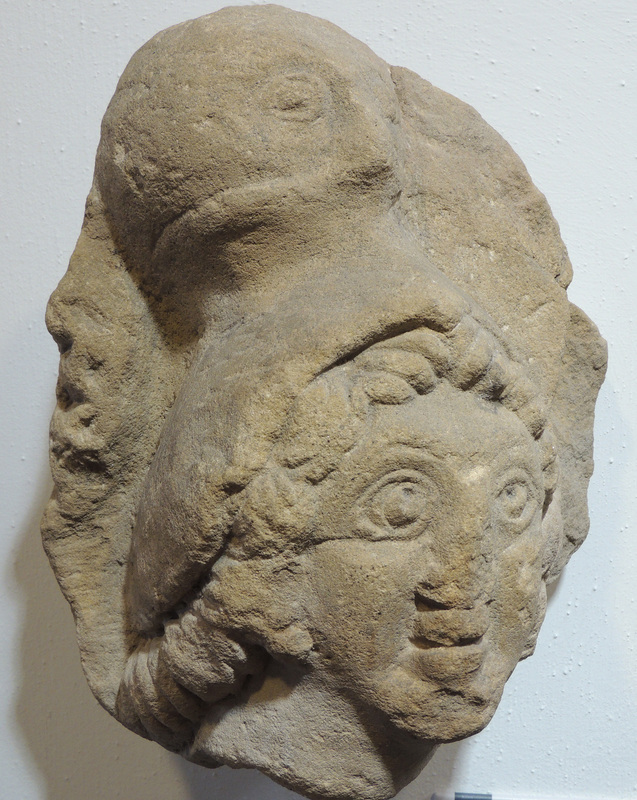 Stone was used in later buildings including Hexham Abbey and a record shows that King John came to the site in 1201 on a ‘treasure hunting’ trip although it also reports that he found nothing but stone. 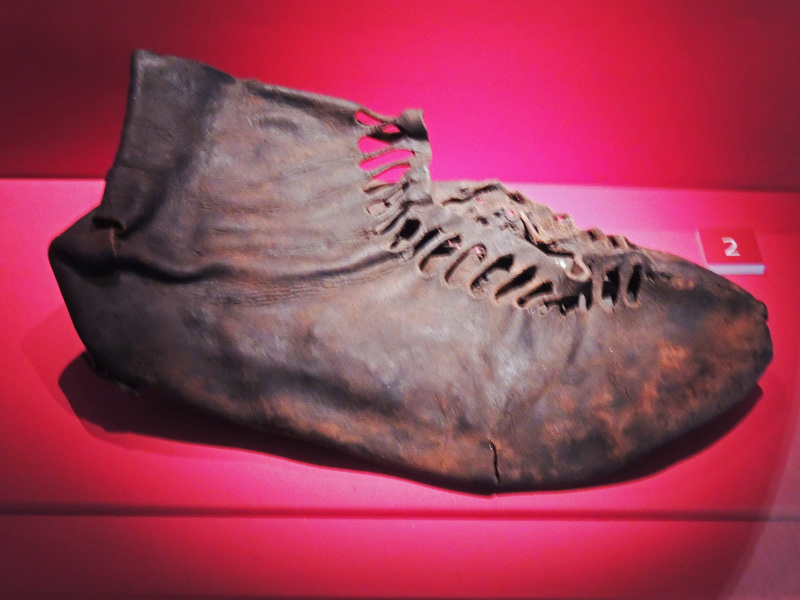 More scientific records were made in the 16th and 18th centuries. 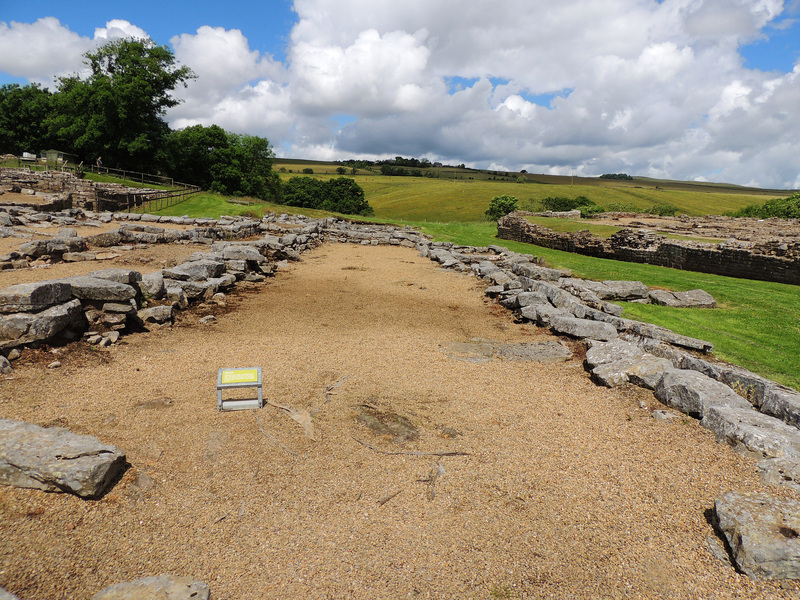 The first proper excavations took place in 1906-14 initially under the be famous archaeologist, Leonard Wooley. 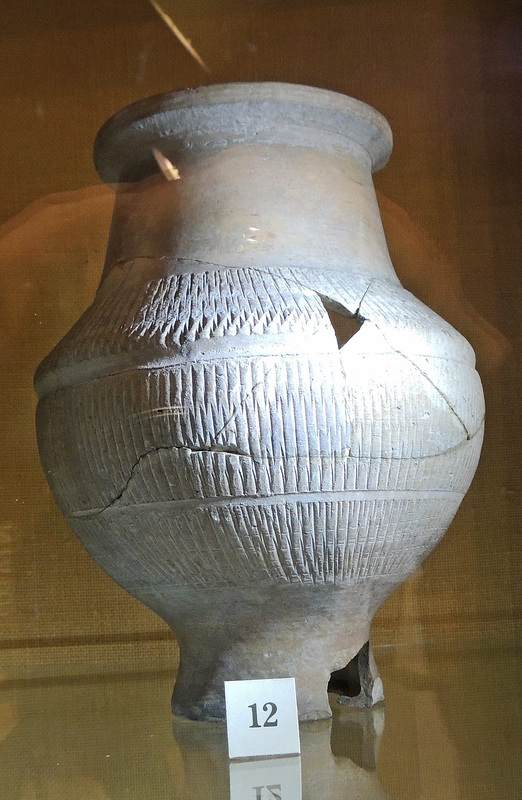 Major excavations took place from 1947-74 and revealed much of what is visible today. 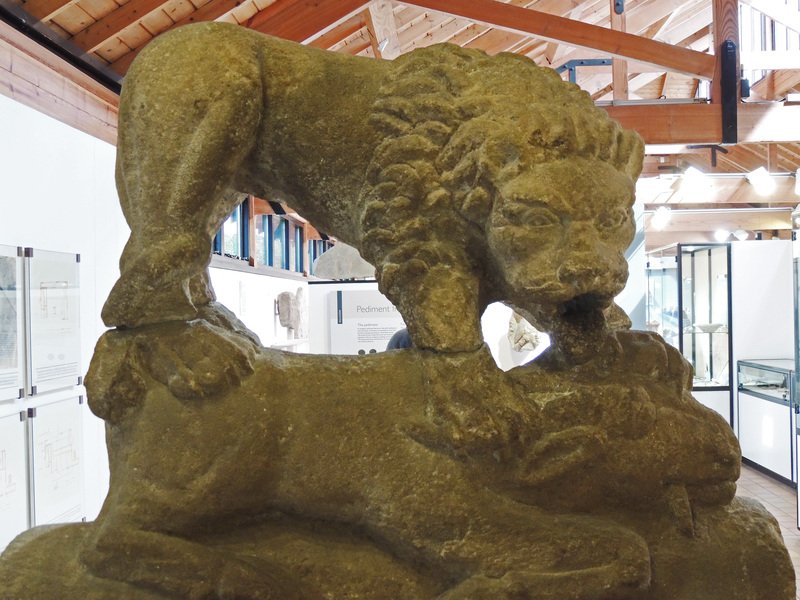 A further excavation took place in 1980 before the building of the new Museum on the site and in recent years further excavations have continued to reveal new parts of the site. 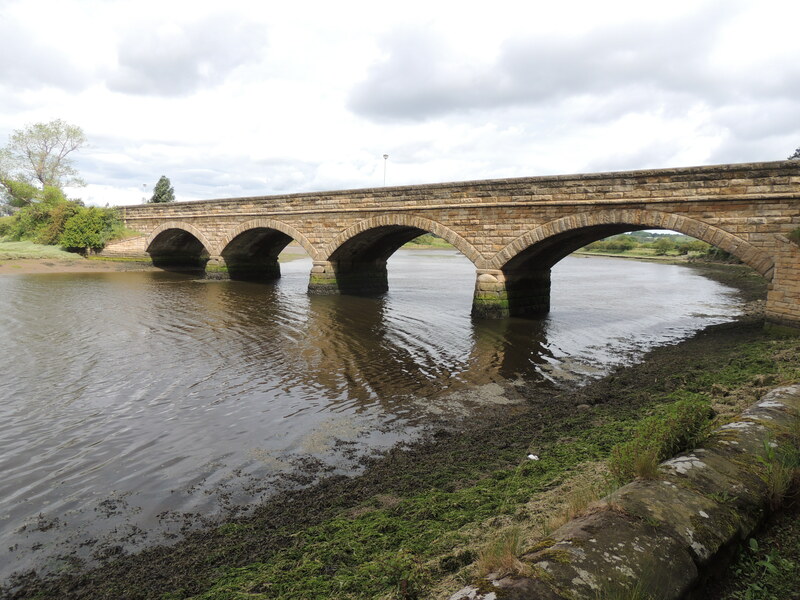 Corbridge is a small town, 25 miles inland from the North Sea along the valley of the River Tyne. 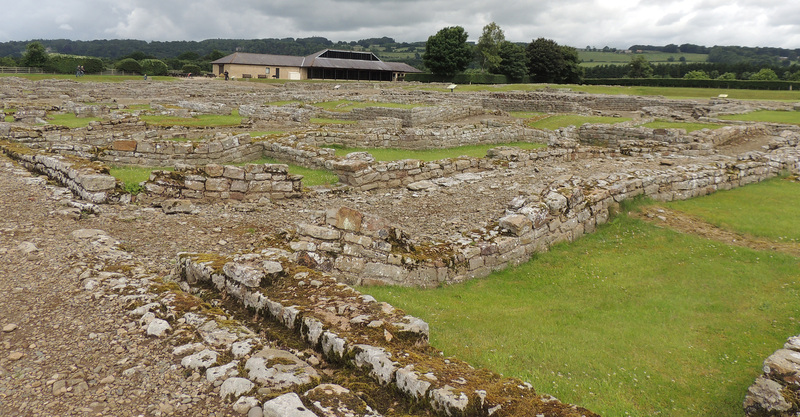 To the west of the modern town is the site of Roman Corbridge, 2 miles south of Hadrian’s Wall. 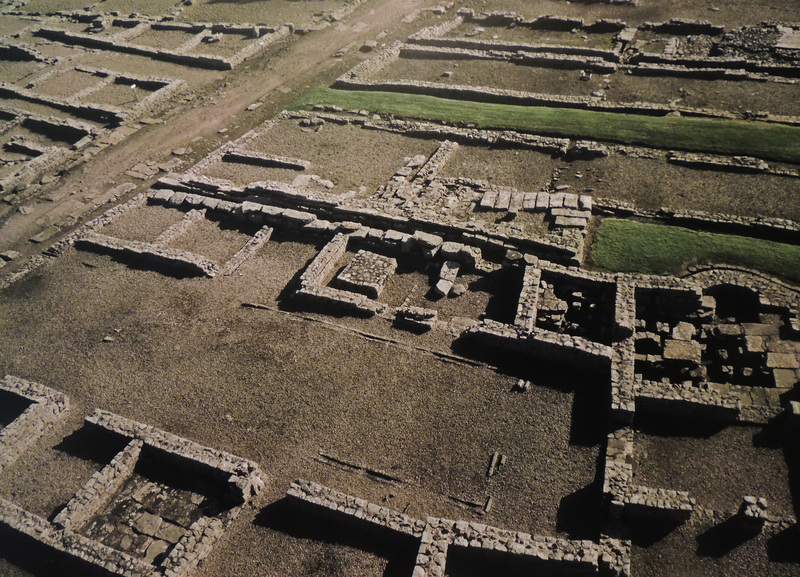 The impressive remains that are on display are only the central area of the settlement consisting of the military sector, but aerial photography has shown a much more extensive settlement surrounding the base. 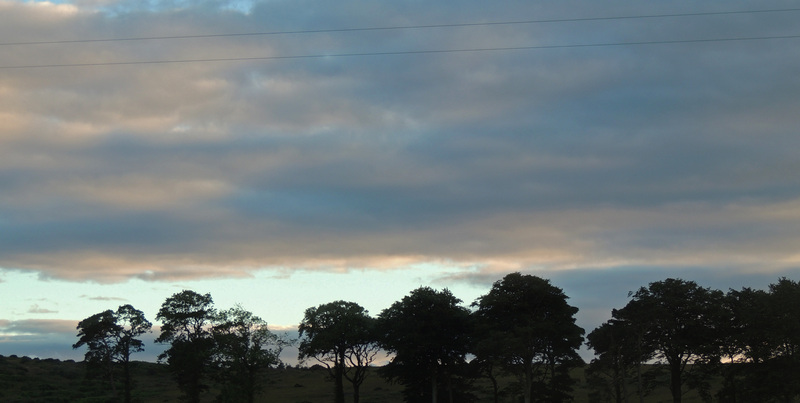 It’s location was at the junction of Stanegate (the Roman road running from Newcastle to Carlisle which had formed the definition of the northern border of Roman occupation prior to the completion of Hadrian’s Wall) and Dere Street (running north from York). 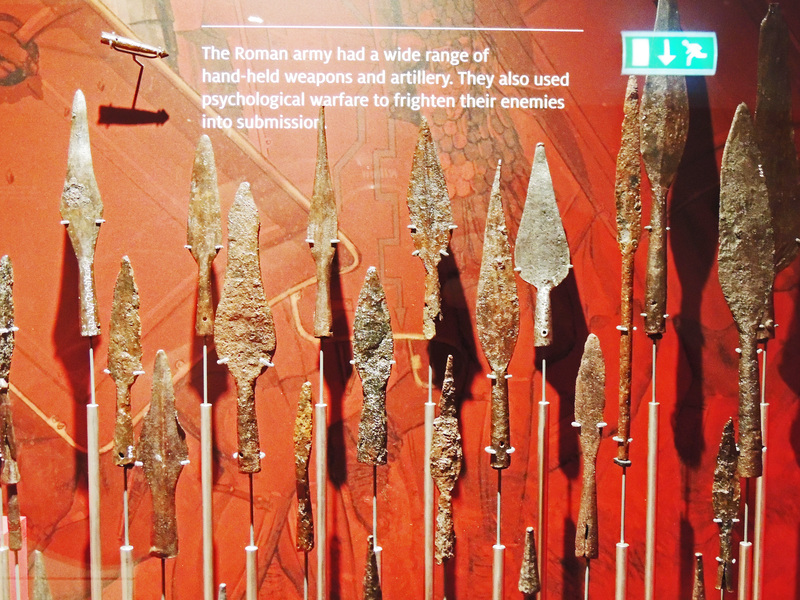 The Roman army arrived in Northumberland around 70AD following the Brigantian rebellion in AD69. 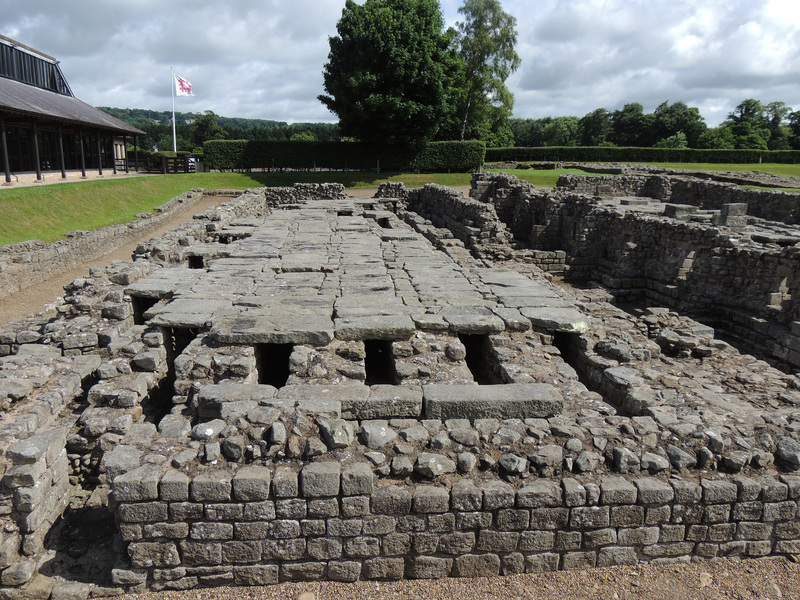 The first activity at Corbridge seems to date from the first excursion into Scotland by Julius Agricola and the site of the original fort lies a mile to the west of the later settlement. 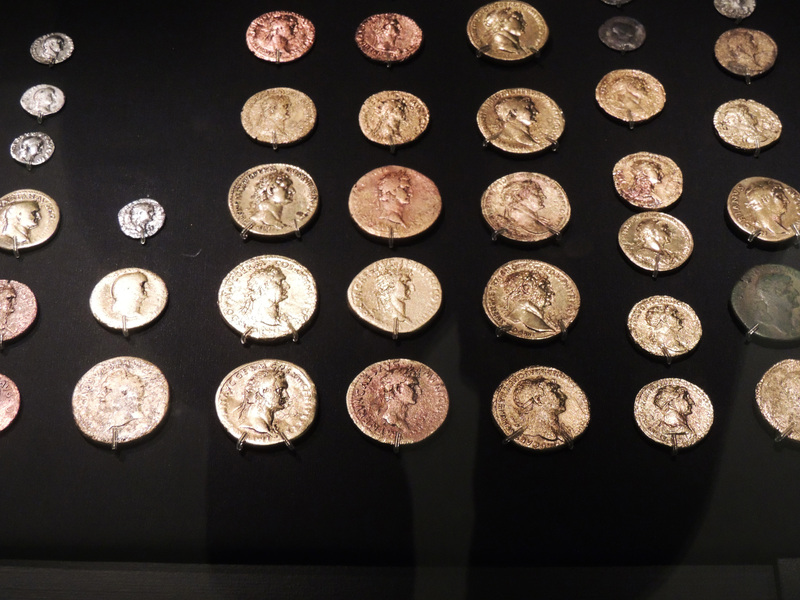 The victory of Agricola at the battle of Mons Graupius (? 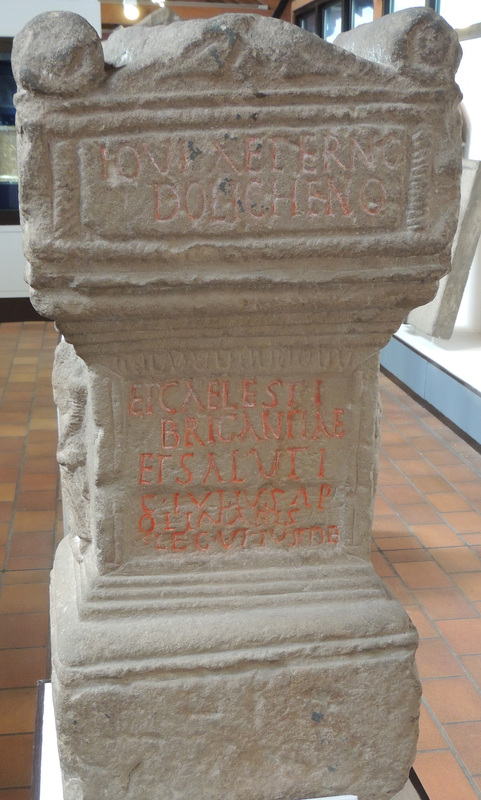 Near modern day Aberdeen) in 83 AD seemed to mark the successful end of the campaign but following barbarian invasions in the Danube region troops were withdrawn from Britain and the strategic decision was made to withdraw from Scotland to the original border and thus Corbridge changed from a supply base to an frontier post. 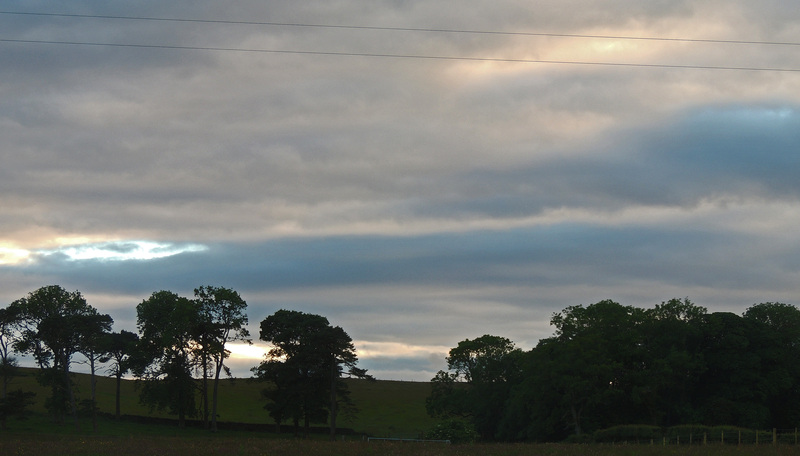 At this time a new fort was constructed on the current site. 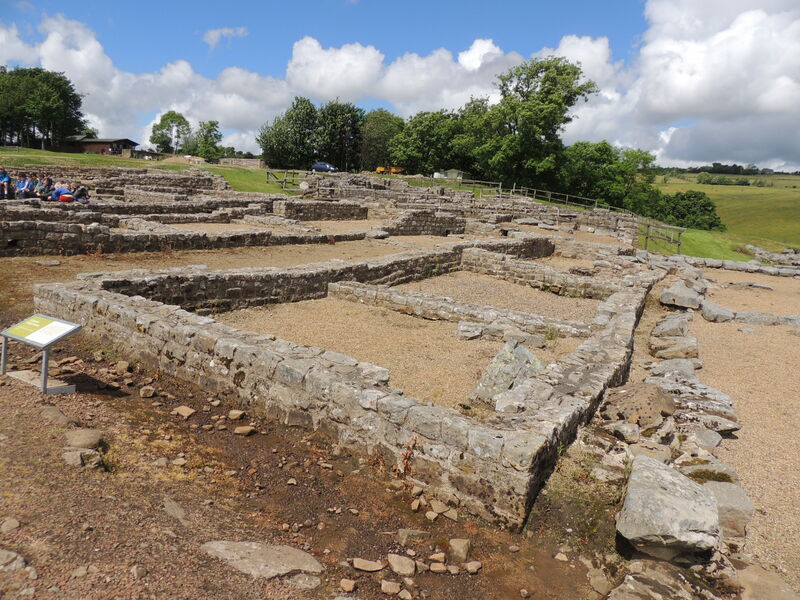 There is an interesting interlude around 105AD when the Corbridge fort was burnt down and a number of other local forts were abandoned, suggesting perhaps that the Romans temporarily lost control of the area. 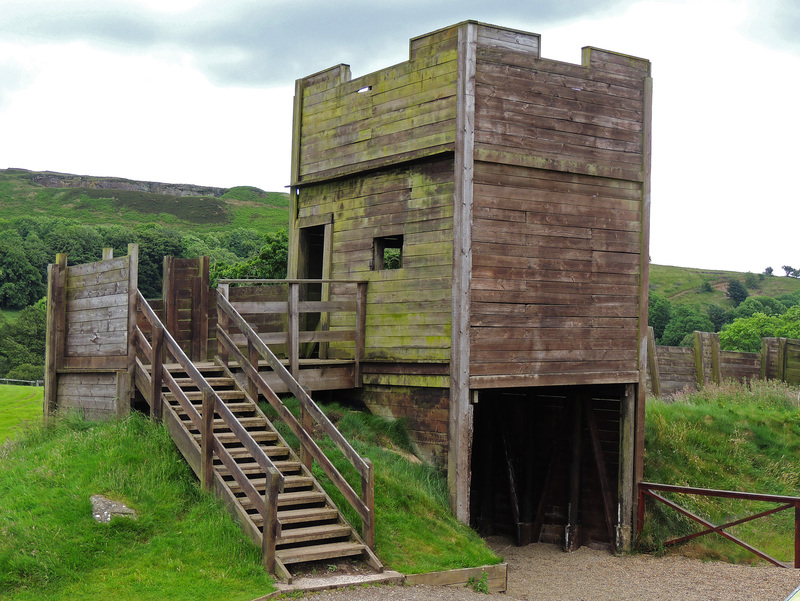 However, the fort was soon rebuilt and at this time Stanegate was constructed. 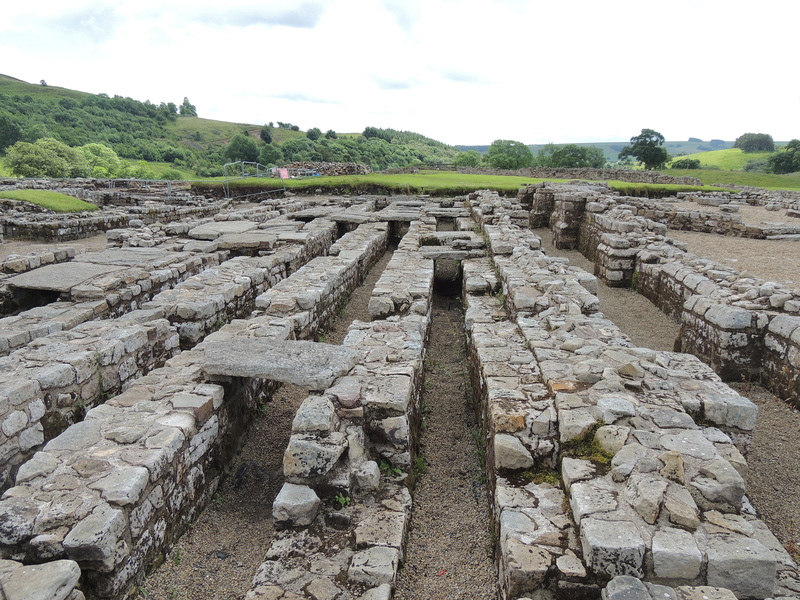 The change in street level during Roman occupation. 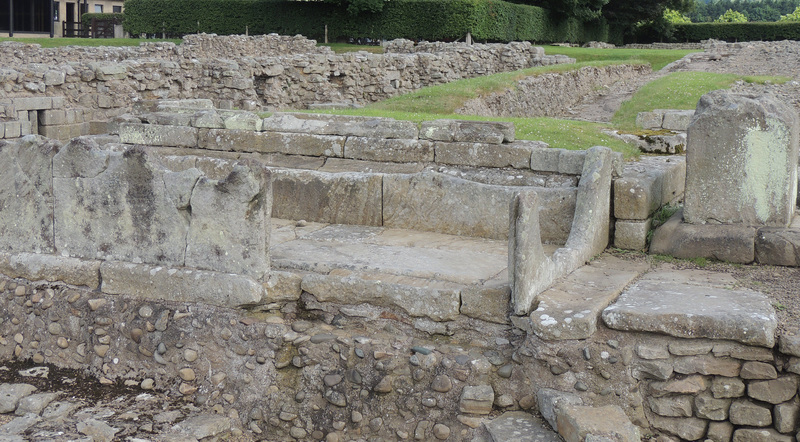 The column bases were st original street level but later steps had to be provided to descend from street level. 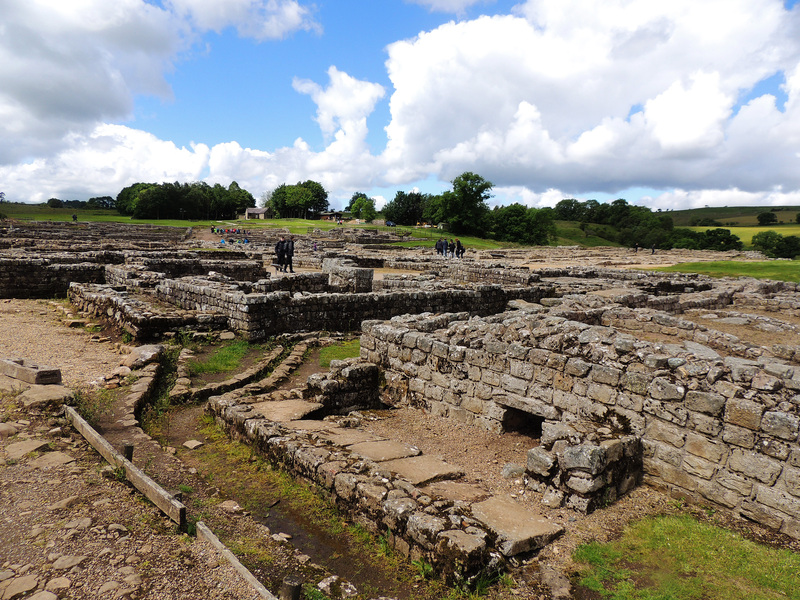 In 122AD the visiting Emperor Hadrian decided to erect a more visible frontier and work on Hadrian’s Wall commenced and Corbridge served as one of the major bases for the construction. 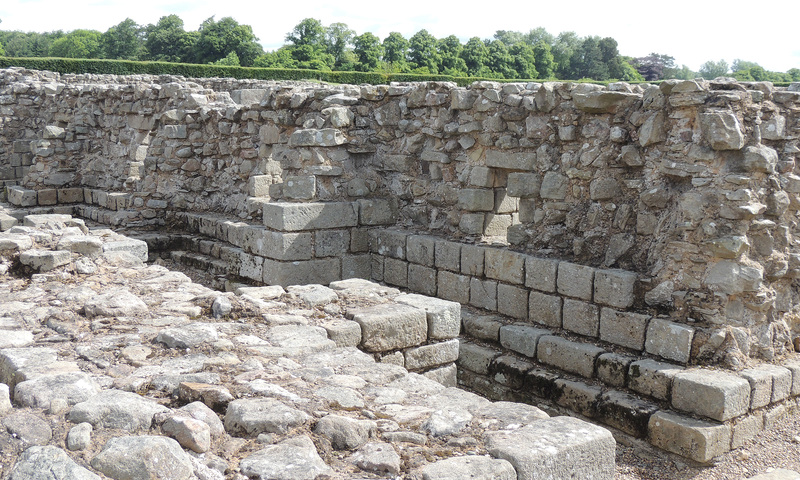 This new function also resulted in a number of changes at Corbridge with new granaries and modifications to the principa building. 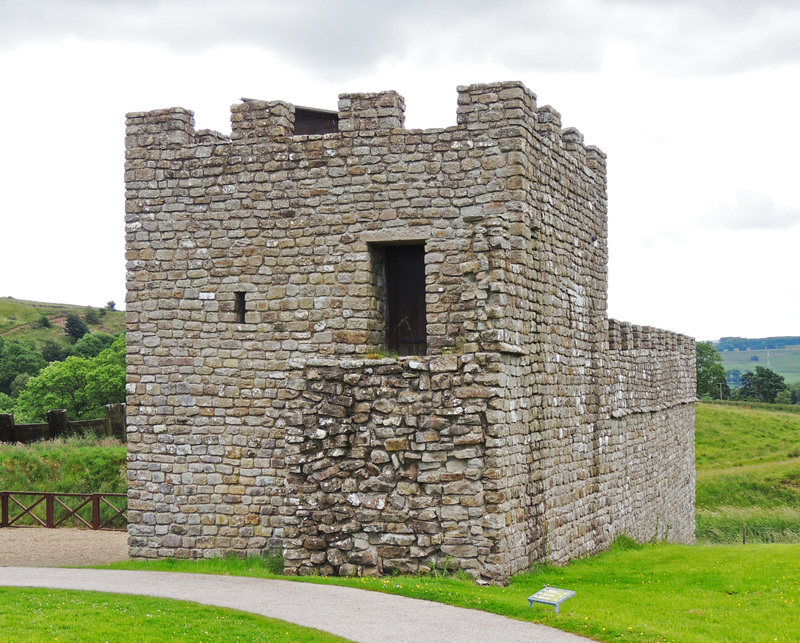 Further expansions and modifications accompanied the campaigns into Scotland by the Emperor Antoninus Puis with the addition of many stone buildings including barracks replacing the previous timber walled buildings. 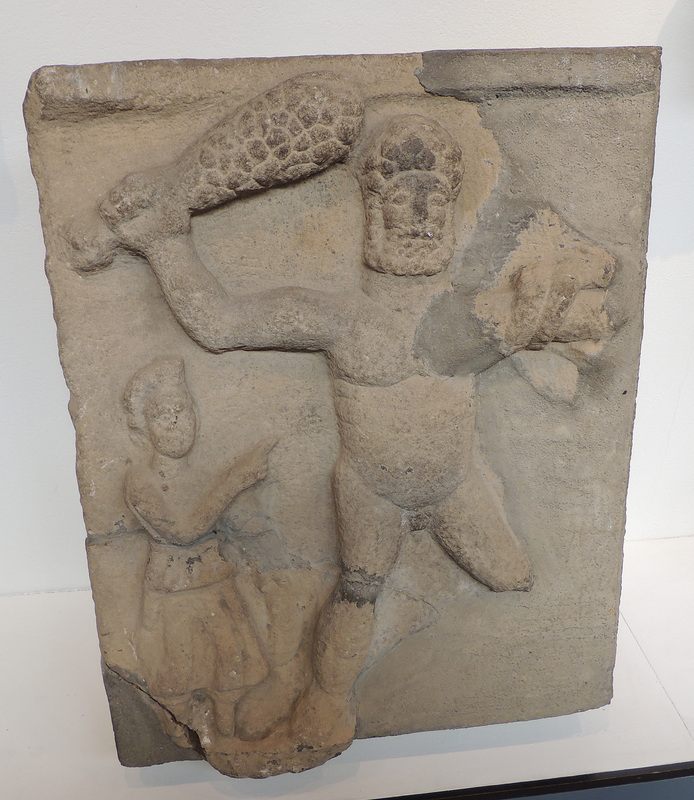 However by 161 AD the campaigns had been suspended and the border once again became Hadrian’s Wall. 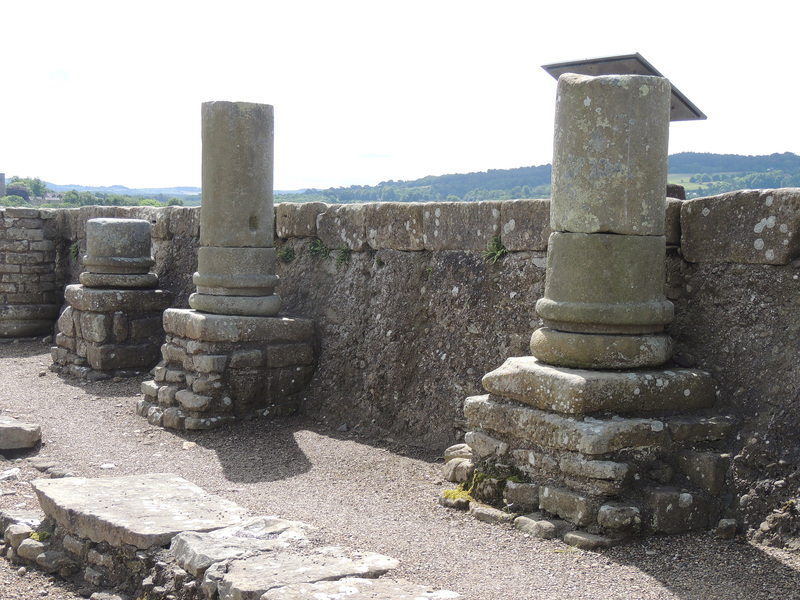 At this time evidence suggests that Corbridge had become a base for detachments from the 6th and 20th Legions (the majority of troops stationed along the wall were auxiliaries).At some point in the third century these were also joined at Corbridge by a detachment from the 2nd Legion. 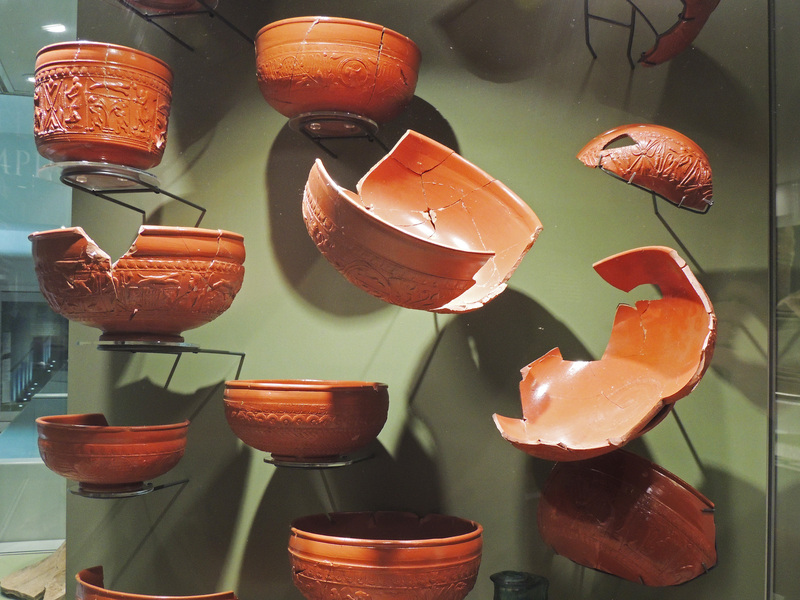 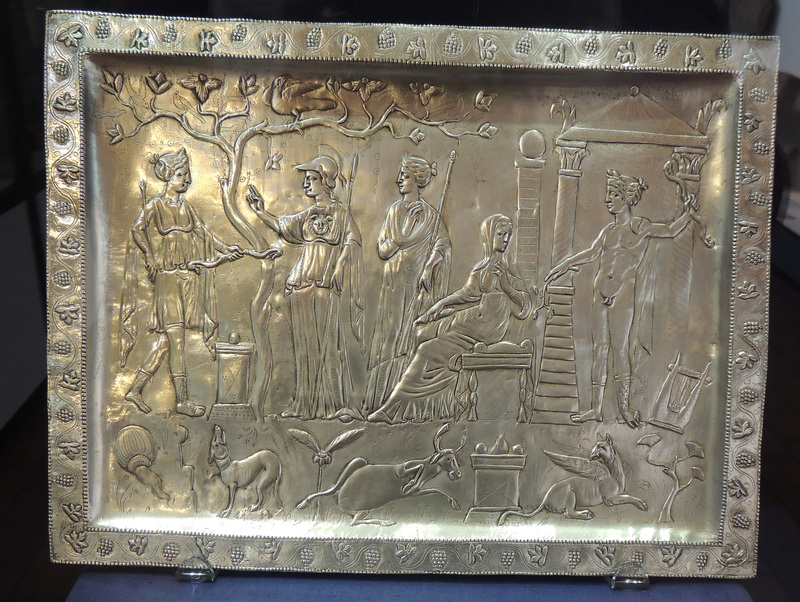 There is a wonderful museum at Vindolanda recording the many artifacts both military and civilian found on the site. 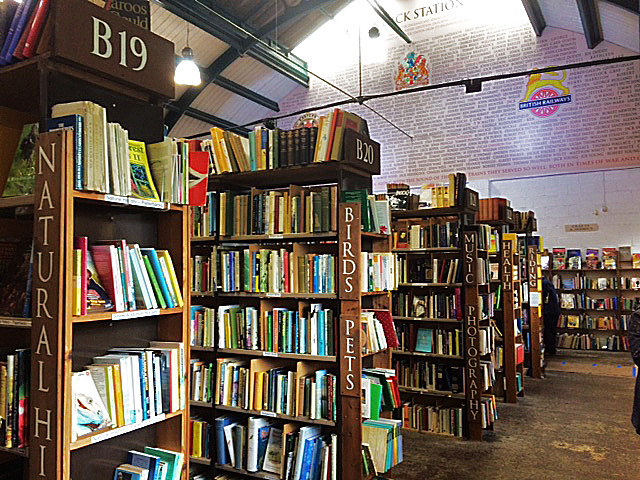 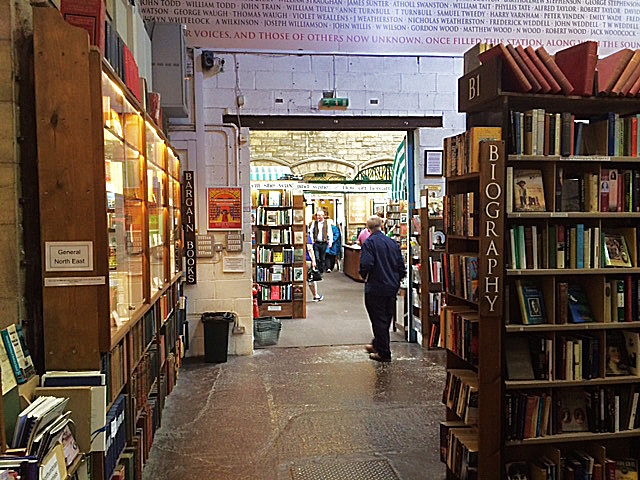 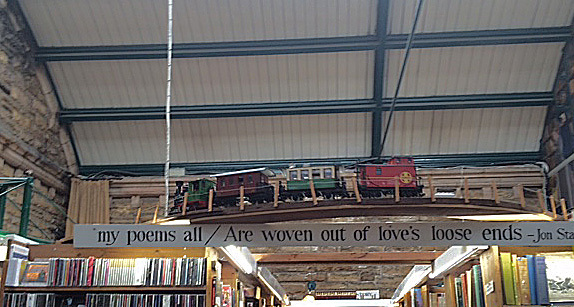 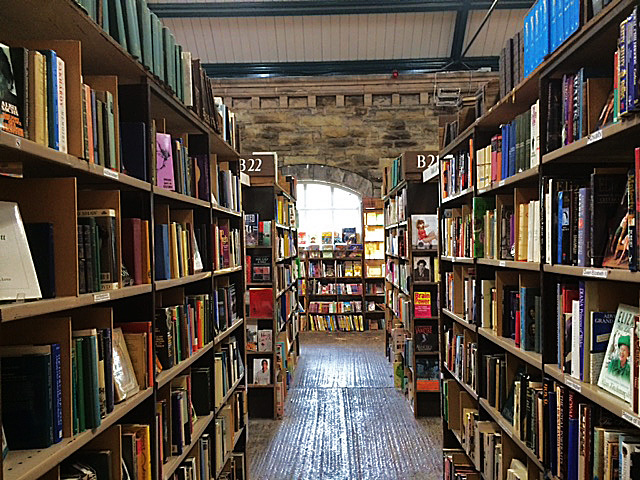 Barter Books, a second-hand bookshop in Alnwick has a far-flung reputation, both for the number of books on offer but also for its location in the old Alnwick station building. 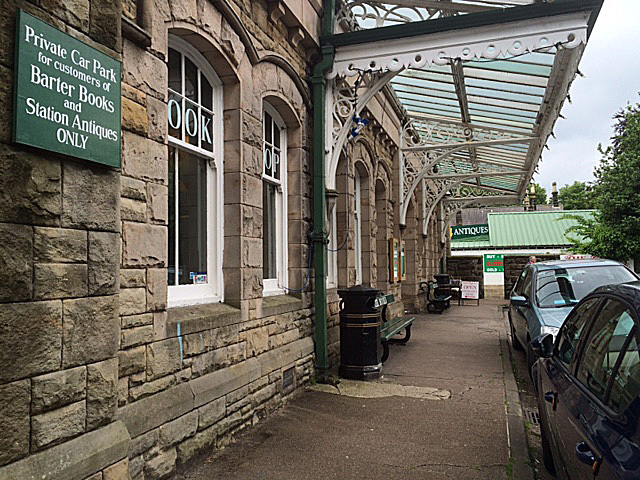 The station was built in 1887 and served a branch line which ran from the main line at Alnmouth into the town. 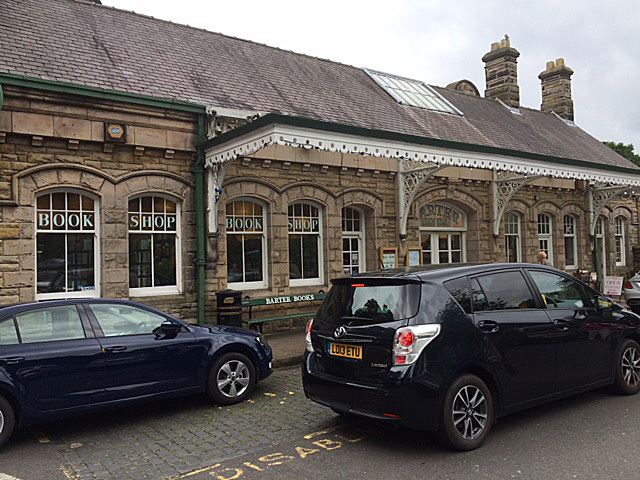 For such a small branch line it is an impressive station. 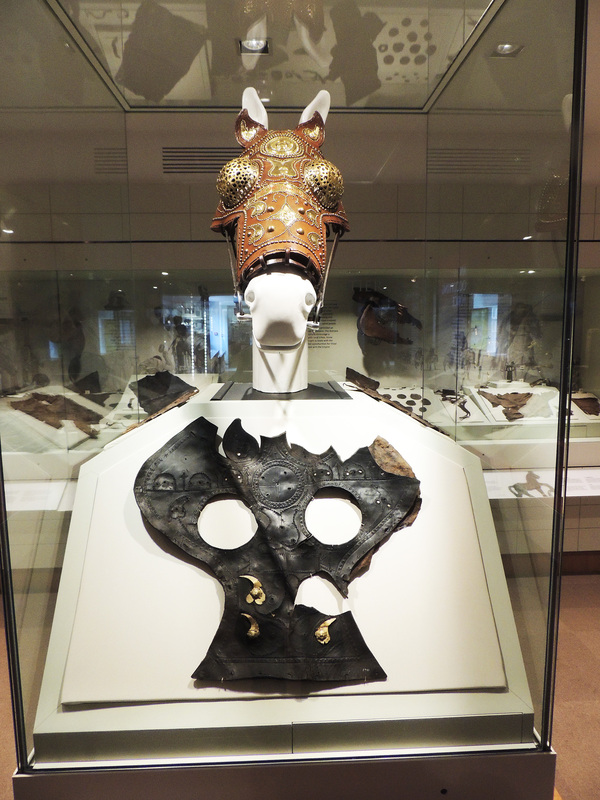 This was because it was used by royalty visiting the Dukes of Northumberland at nearby Alnwick Castle. 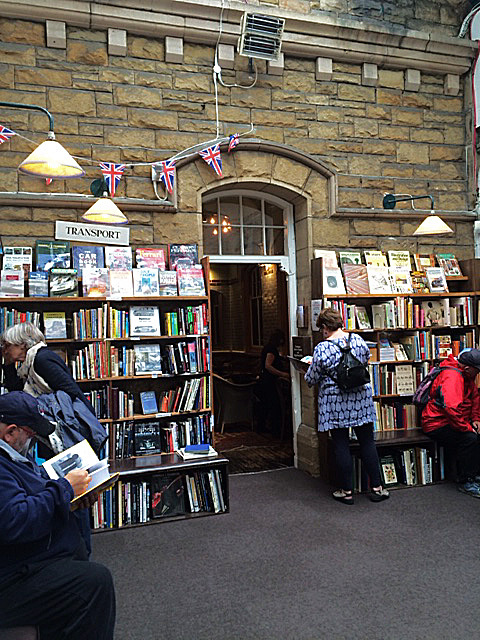 It was closed in 1968, but thankfully the fine station buildings were preserved and can be enjoyed today whilst browse amongst the racks of books on offer.